What definition of “motor vehicle” applies when determining whether the Minnesota motor vehicle vicarious liability law applies? The Minnesota Court of Appeals addressed the issue in late 2009. By 2005, only eleven states imposed vicarious liability on the owner of motor vehicle (California, Connecticut, Florida, Idaho, Iowa, Maine, Michigan, Minnesota, Nevada, New York and Rhode Island) as did the District of Columbia. Under a vicarious liability law, the vehicle owner becomes legally liable for injuries and damages caused by a permissive driver of the motor vehicle. “[V]icarious liability is the ‘imposition of liability on one person for the actionable conduct of another, based solely on a relationship between the two persons.’” Sutherland v. Barton, 570 N.W.2d 1, 5 (Minn.1997) (quoting Black’s Law Dictionary 1566 (6th ed.1990)). The policy of the vicarious liability law is to ensure that members of the public have “an approximate certainty of an effective recovery” when injured by the operation of a motor vehicle. Milbank Mut. Ins. Co. v. U.S. Fid. & Guar. Co., 332 N.W.2d 160, 165 (Minn. 1983). Minnesota courts have consistently reiterated that the statute must be interpreted liberally to accomplish its purpose. Id. at 165-66; Christensen v. Milbank Ins. Co., 643 N.W.2d 639, 642 -645 (Minn. Ct. App. 2002). (As noted in previous posts to this blog, the motor vehicle vicarious liability statute is pre-empted by the federal Graves Amendment in the context of rented motor vehicles). “Motor vehicle” means every vehicle, other than a motorcycle or other vehicle with fewer than four wheels, which (a) is required to be registered pursuant to chapter 168, and (b) is designed to be self-propelled by an engine or motor for use primarily upon public roads, highways or streets in the transportation of persons or property, and includes a trailer with one or more wheels, when the trailer is connected to or being towed by a motor vehicle. [T]he legislature has relocated the [vicarious liability] law within the scope of a specifically defining statute. * * * The legislature was aware that “motor vehicle” was defined by section 169.011 when it relocated the vicarious liability statute to the same chapter. This is strong evidence that the legislature intended the statute to be defined accordingly. If the legislature intended for chapter 65B’s motor-vehicle definition to apply to the vicarious liability statute, it had many means to indicate that inevident intention. It could have moved the statute within the expressly stated scope of the chapter 65B definitions. It could have amended the statute to expressly refer to the 65B definition. Or it could have left things as they were, tacitly acquiescing to this court’s construction in Golla. Instead, the legislature adopted a statutory definition for “motor vehicle” where previously none existed within the chapter that assigns vicarious liability. * * * We conclude that the intent of the legislature was to abrogate Golla implicitly. We hold that the definition of motor vehicle in chapter 169 applies to the vicarious liability statute. “Motor vehicle” means every vehicle which is self-propelled and every vehicle which is propelled by electric power obtained from overhead trolley wires. Motor vehicle does not include an electric personal assistive mobility device or a vehicle moved solely by human power. Because the Minnesota Court of Appeals found the definition of “motor vehicle” appearing in section 169.011 applied, the semitrailer did not qualify as a motor vehicle under the vicarious liability statute. According to the definition, a motor vehicle is “self-propelled” or “powered by trolley wires.” Minn. Stat. § 169.011, subd. 42. A semitrailer is neither. The court further noted that its holding that a semitrailer was not a motor vehicle complemented the statutory definition of “semitrailer,” which is a “[vehicle] designed [to be] used in conjunction with a truck-tractor” and “includes a trailer drawn by a truck-tractor semitrailer combination.” Minn. Stat. § 169.011, subd. 72. A semitrailer therefore remains merely a “vehicle” even when it is drawn by a “motor vehicle.” Because the motor-vehicle vicarious liability statute does not impose vicarious liability on the owners of semitrailers, APL was not vicariously liable for the accident. Minnesota Statute § 169.09, subd. 5a, the vicarious liability statute, only applies to accidents that occur in the State of Minnesota. In that event, the vehicle owner will be legally responsible (along with the permissive user) for all damages caused by the permissive user’s negligent operation of the vehicle. See, Boatwright v. Budak, 625 N.W.2d 483, 488 (Minn. Ct. App. 2001) (“[e]mploying a plain-meaning approach,” court held statute only applies “to accidents that occur within Minnesota”); Avis Rent-A-Car System v. Vang, 123 F.Supp.2d 504 (D. Minn. 2000) (Minnesota statute creating liability on part of owner for damages resulting from operation of automobile by another with owner’s consent did not apply to automobile accident in Michigan); West Bend Mut. Ins. Co. v. American Family Mut. Ins. Co., 586 N.W.2d 584 (Minn. Ct. App. 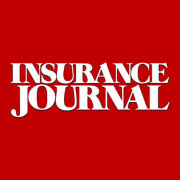 1998) (garage liability policy insuring Minnesota dealership’s vehicles did not afford any liability coverage for accident occurring involving dealership vehicle in Louisiana, a jurisdiction which did not impose vicarious liability). In light of the court’s holding in Vee v. Ibrahim, 769 N.W.2d 770, 771-775 (Minn. Ct. App. 2009) review denied (Sept. 29, 2009), which held that the statutory definition of “motor vehicle” in Minn. Stat. § 169.011, subd. 42 applies to the motor vehicle vicarious liability statute (as opposed to the No-Fault Act’s definition), the owner of an out-of-state vehicle involved in an accident in Minnesota has no basis to contend that the vicarious liability law will not operate to impose vicarious liability on the owner. This entry was posted in BAP, Coverage and tagged Graves Amendment, Gregory J. Johnson, Insurance Law, Motor vehicle, Semi-Trailer, Vicarious liability. Bookmark the permalink.